We've been getting a few nice little mentions around the place for 'i do' it yourself at the moment that I want to share. 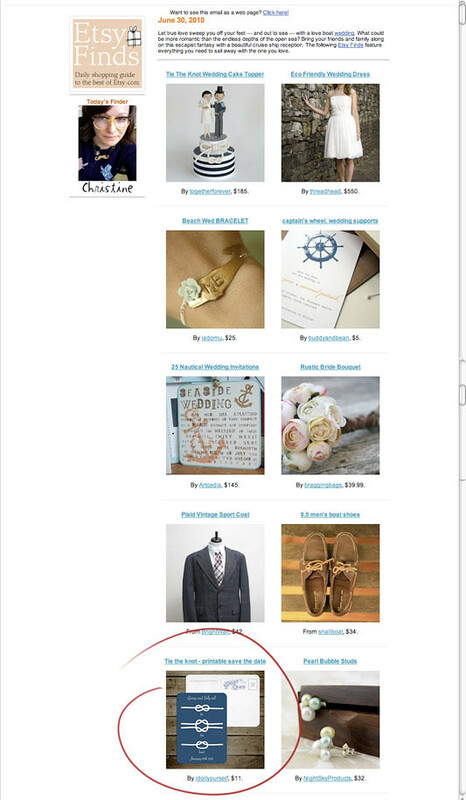 Etsy featured our tie the knot save the date in their weekly newsletter and on their blog. Madeit added our hummingbird invitation to their newsletter, and the Indie Bride featured a few products on their blog. Thanks everyone.